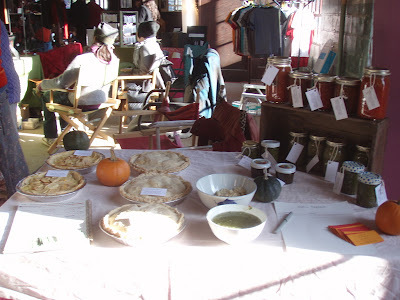 For the Tivoli Craft day last weekend, I baked and sold some pies and tarts. The pies were Apple Green Tomato, and the tarts were Apple with Almond Cream... so scrummy both. I got one lovely testimonial from a lady the day after she bought the Apple Green Tomato pie "We had your pie for dessert last night and it was delicious! (in a whisper) I even had some for breakfast." Sophia's choice quote was "Pie is always good in a pinch." Also, before the craft fair I went to the bakery to buy some pie boxes, and Mikey said I should sell them for $12, or $2.50 per slice. When Sophia went back on Sunday to get two more boxes, Mikey asked how much I was selling them for, she said $12, and that they were selling fast, and he - very uncharacteristically - got very excited saying "Yes! Good for her! Right on!" and such and such. I've been a lurker for some time now but I need to step up and say hi. 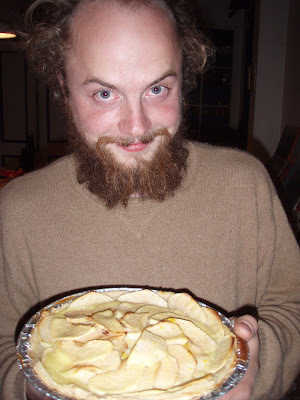 I had stopped checking the pie blog for awhile because it was so empty. 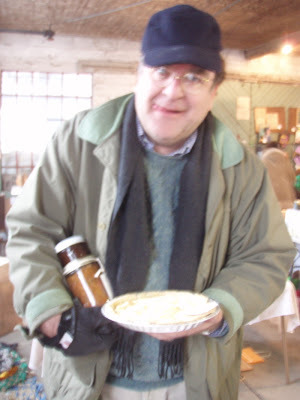 And then a whole flurry of pies. Please keep it moving! I want that Dewald Japanese whatnot pie and then some of that Green Tomato pie. When are you people going to post up the recipes?!?!?!?! Thanks so much because I know you are having fun and so am I! thanks so much for reading and saying hello! 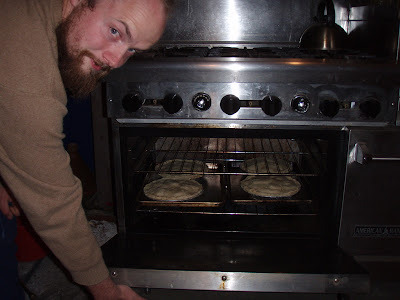 never fear--more pies are on the way, and we'll try to be better about posting recipes.